Our research is focused on the development and application of multi-scale computational methods, dedicated to physical and chemical problems in material science and biology. Our challenge is to propose a predictive modeling dedicated to fill in the gaps in experiments and to guide and control technological process at the atomic scale. We use simulation techniques to provide a very detailed description of molecular systems required by atomically precise technologies. 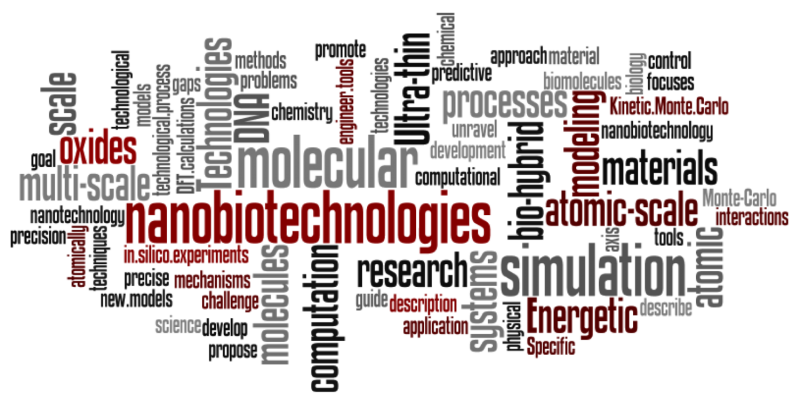 Our goal is to promote multi-scale modeling approach towards engineer tools applied to micronanobiotechnologies and molecular systems. Please click our above "Research Topics" to learn more about our activities.